Door hangers are a financially savvy direct publicising device in which a little bit of cardboard or plastic with an opening at the top is set on an entryway handle. They are used to pass on messages about items, services, constrained time offers, rebate coupons & giveaways. They can contain a significant amount of content like organisation logo and witticism, advancements, business contacts, site name and so forth Furthermore both sides can be utilised for printing. Splendid hues, sharp illustrations, recognising text styles and quality printed standard door holders would positively catch the consideration of your potential clients. 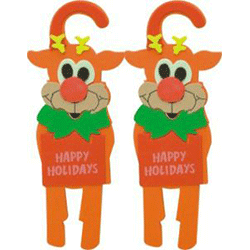 There are various kinds of door hangers like standard door hangers, die cut door hangers and custom door hangers. These days’ people are using it for their business purposes. 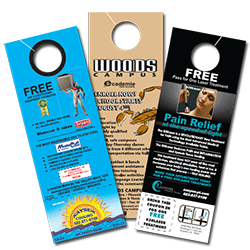 Standard door hangers are always very beneficial and useful for business.